Clash of heads cause a huge injury. 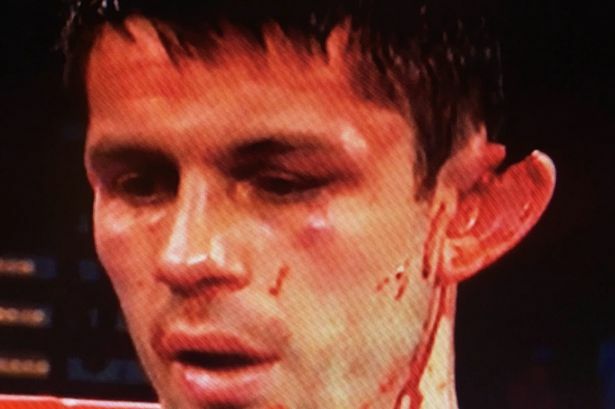 Horrific Injury caused by a clash of heads. On Saturday night Liverpool boxer Stephen Smith fought Francisco Vargas in the Mandalay Bay Hotel in Las Vegas. And he suffered an horrific injury following a clash of heads. Vargas took the technical decision after 9 rounds, and Stephen is healing well. Stephen is one of the four fighting “Smith Brothers” from Liverpool, who include former WBO champion Liam Smith, WBC ranked no.1 Callum Smith & Paul Smith Jr who was a former two three time world title challenger.